New York, July 30, 2012 – Fashion One LLC, the world's premier international fashion and entertainment television channel, announced today the acquisition of a prestigious 1,150 sq meter building that will serve as their European headquarters. The establishment of this office affirms Fashion One's strong commitment to the expansion of its Western European business. Currently broadcast via pay TV and satellite TV with a reach of over fifty seven millions viewers in Western Europe, establishing an office in the historic epicenter of fashion is further evidence of the company's promise to bring the highest quality of fashion, entertainment and lifestyle content to their viewers. 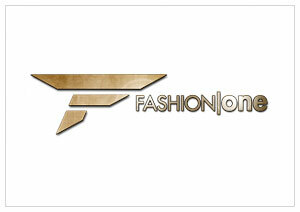 Fashion One LLCwill hire a team in Europe to overlook business development, content management, production and post production in Antwerp, Belgium. "Western Europe is an important market for Fashion One LLC, and we are committed to working closely with our local partners to develop the industry in line with the highest international standards. Establishing Fashion One's European headquarters in this fashion-centric region made clear strategic sense. It's a short train ride into Paris, London, Amsterdam and many other fashion centric cities. Not to mention that Antwerp itself is a fashion hub with many fashion design schools, famous designers and nice shopping. It will serve as a nice addition to our Hong Kong headquarters and Film Production Studios in Cebu, Philippines," said Ashley Jordan, Chief Executive Officer of Fashion One.